Location fantastic..loved Relax Bay. There was a nice mix of guests and we really enjoyed the atmosphere. Location is great with direct access to a nice beach. The pool is clean. The bungalows have a nice porch with a hammock. If I had any issues with room or property, the staff were very good about resolving the matter. 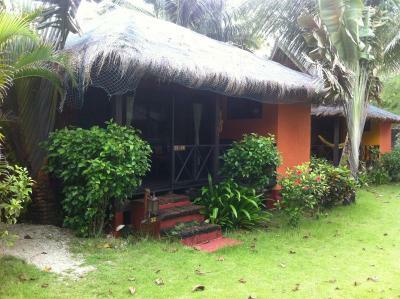 Good location with a long stretch of beachfront. Restaurant was decent and it was nice to have int. Options. 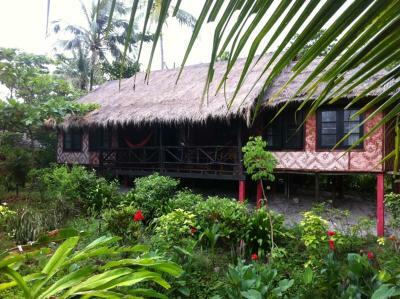 Perfect get away in a nice secluded beach with rustic jungle bungalows. The food in the resort restaurant is exceptional as are all the resort staff. Will handle all your onward travel needs. The beach is exceptional. Quiet, family friendly and beautiful sunset sets. Staff are kind and willing to assist with even the potentially uncomfortable situations. Relax bay has an amazing beach with some excellent staff and great bungalows. Each has its own balcony and hammock with most looking out to the ocean. 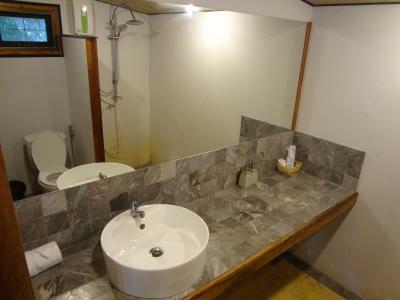 Extremely private and well maintained. It is a great place to get away from the tourists and relax for the week. 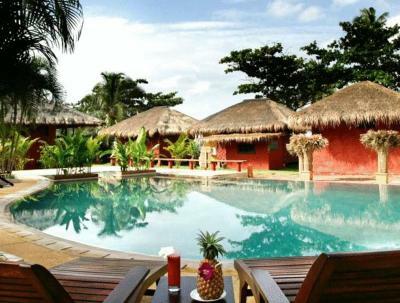 Relax Bay Resort This rating is a reflection of how the property compares to the industry standard when it comes to price, facilities and services available. It's based on a self-evaluation by the property. Use this rating to help choose your stay! 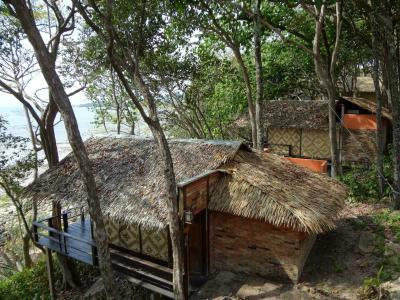 Steps from a private beach, Relax Bay Resort features traditional beach bungalows with free WiFi available in all areas. 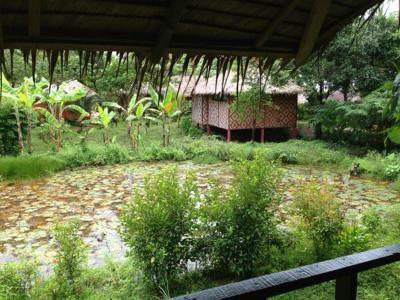 The resort offers an outdoor pool and traditional Thai massages. 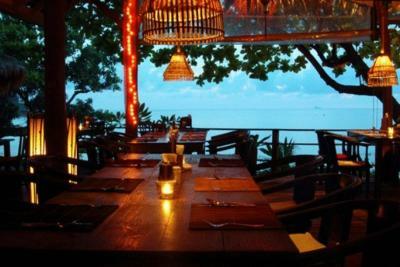 It has a restaurant with stunning views of the Andaman Sea. 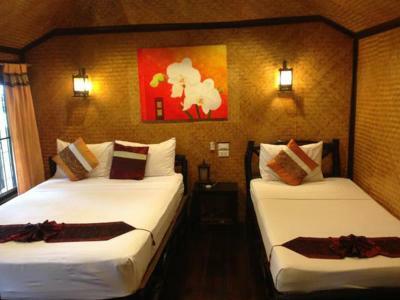 Wooden bungalows with straw roofs come with either a fan or air conditioning. Each has a doors that open up to a private balcony with outdoor seating. 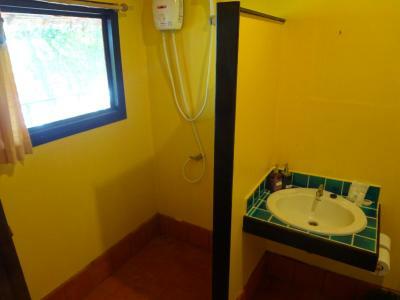 Attached bathrooms provide hot water. 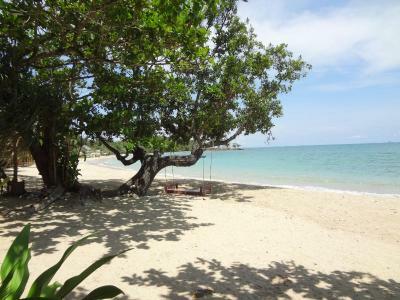 Resort Relax Bay is located 3.1 mi from Ban Saladan, Koh Lanta’s main village. 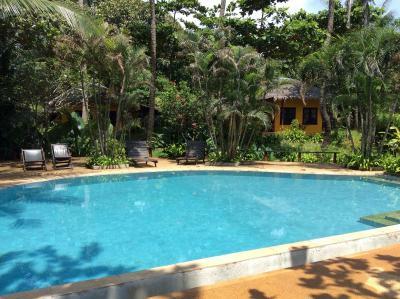 The resort is located right beside popular Phra Ae Beach and is 50 mi south of Krabi Airport. Guests can make diving and fishing trip arrangements at the tour desk. 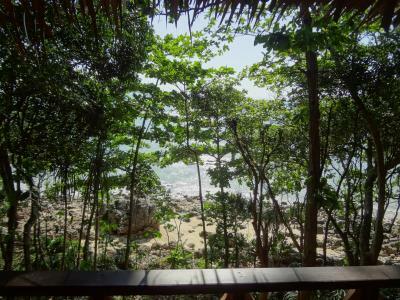 To explore Koh Lanta, car hire and bicycle rental services are available. Yoga classes are very famous and held by the beach. Bikini Restaurant offers a variety of Thai and international dishes while refreshing cocktails are featured at Viva Zapata Bar. 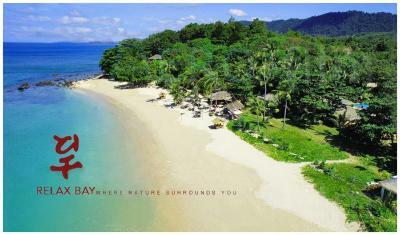 When would you like to stay at Relax Bay Resort? 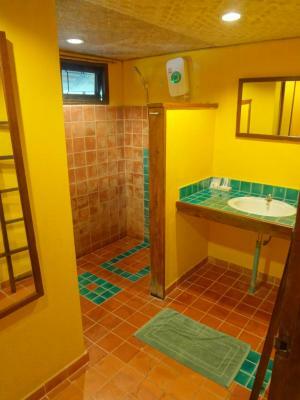 Spacious air-conditioned bungalow features a fridge and safe. 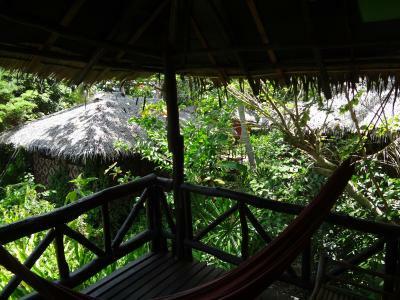 It is located near the beach and has a balcony and hammock. 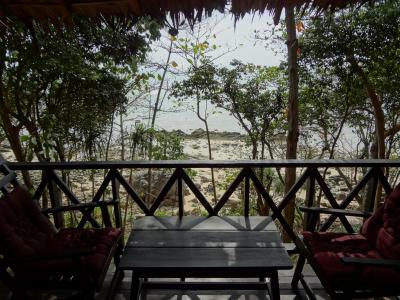 This bungalow features a balcony, sea view and seating area. 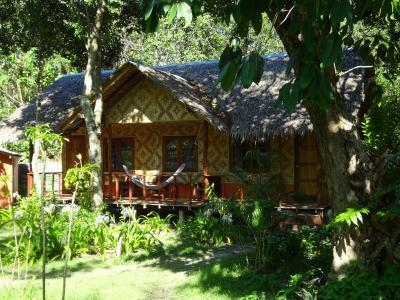 The bungalow is located among trees and offers partial views of the lake and garden. 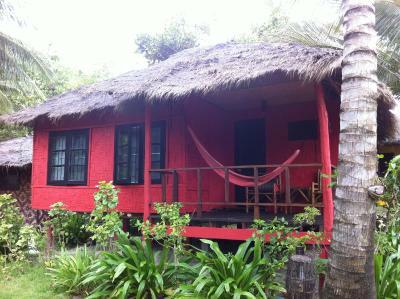 The bungalows come with a fan and a hammock on the balcony. 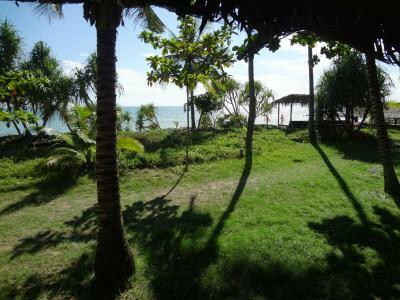 Located a short walk from the sea, the bungalow features lovely sea views and have a hammock on the private balcony. 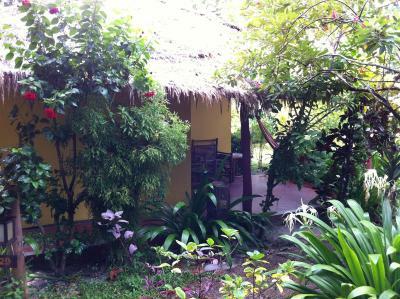 Each bungalow has a private balcony with a hammock and features either views of the pool or garden. 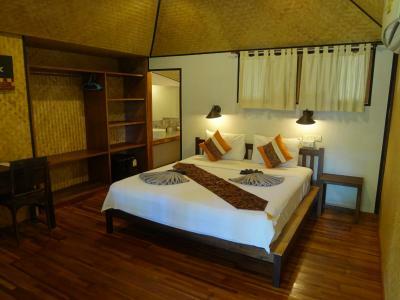 Featuring views of the pool from the private balcony, the family bungalow comes with a fan and a bathroom. 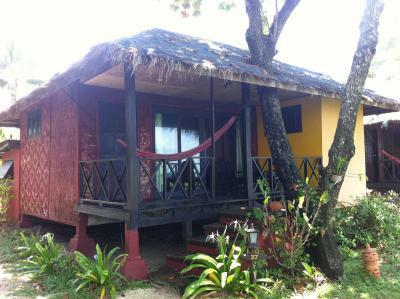 Boasting a private balcony with sea views, the bungalow is composed of 2 bedrooms and 2 bathrooms. Please note that this bungalow is accessible only via stairs and is located up a hill surrounded by plants that can cause allergies. For safety reasons, small children cannot be accommodated in this room type. 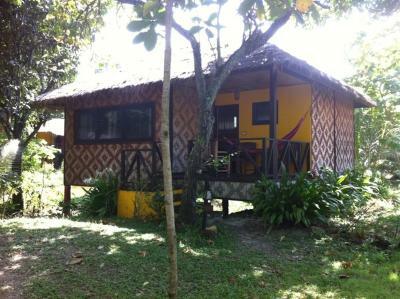 Surrounded by a garden, the bungalow is composed of 2 bedrooms and comes with air conditioning. We are not your usual, standard hotel with all amenities. We chose another way. 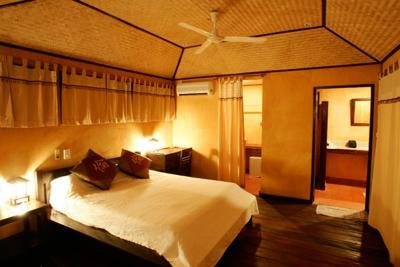 Most rooms do not have TV, fridges, and so on, but all necessities to have a nice relaxed holiday are there. We especially aim to stay away from the mainstream hotel business. But we do have WiFi, massage, good food, yoga, happy staff, and most important, a good humour. We try to avoid: light pollution, stone pollution and last but not least, noise pollution. House Rules Relax Bay Resort takes special requests – add in the next step! Relax Bay Resort accepts these cards and reserves the right to temporarily hold an amount prior to arrival. There is an additional compulsory breakfast charge per night per room. Guests are to make payment directly to the hotel. Please note that only 1 child above 6 years old, accompanied by parents, is allowed in the resort. Quite pricey for what it was. A shame that the staff were not very friendly, a ‘good morning’ doesn’t go amiss when you come down for breakfast. This rather dampened our stay. Great location on a lovely beach. 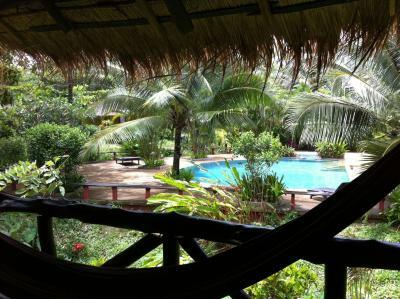 Plenty of lovely places to relax on the beach; hammocks, shady raised beds, pool area etc. 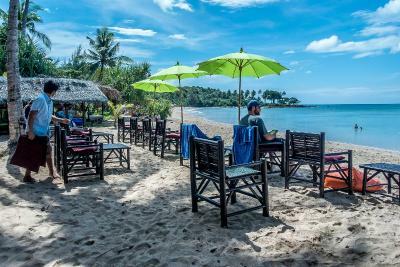 It would be lovely if the beach bar stayed open a little later but if you’re out for the evening it doesn’t matter too much - I would also note a taxi is needed to get in and out with ease as quite a Long walk uphill/ steps to the main road! 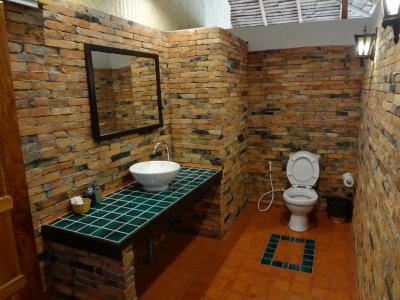 We visited Koh Lanta 4 years ago and loved this place so came back... it was a struggle to find at first but we remembered the decor and luckily found it! it hasn’t disappointed the food is excellent the rooms are lovely.. beach is quiet and relaxing... I would also recommend a local restaurant called Patty’s Secret Garden for a change of scenery. We originally booked 2 nights but ended up staying an extra 3! A few insects in the caban but you're in the middle of the forest/nature so I guess it's inevitable. 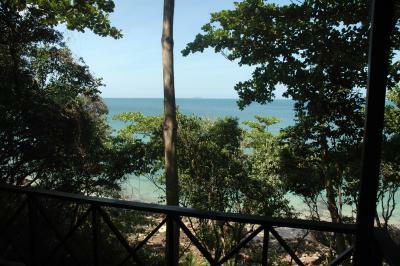 The hotel is truly amazing, right on one of the nicest beaches of Ko Lanta. 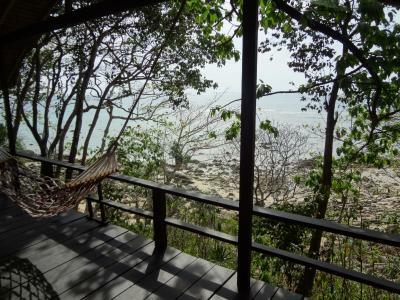 We loved our little caban, with the hamac on the balcony and the sea view. As for the restaurant, the food is delicious and the bar also serves really good cocktails. 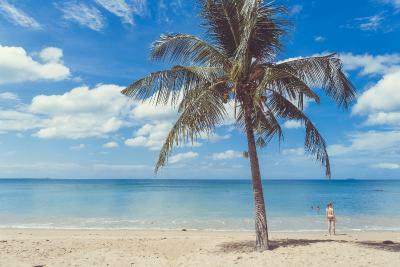 We have had the best time at Relax Bay Hotel (massages on the beach, amazing sunset, turquoise water, snorkeling trip ...), we'll definitely be back next time we're in Ko Lanta ! Most of the staff were friendly and smiley, but one always looked like she would rather be somewhere else, which was a shame, since so much of hospitality is about being welcoming. I would also recommend paying extra for an air-conditioned room, as a ceiling fan isn't enough to cool things down for a good night's sleep. 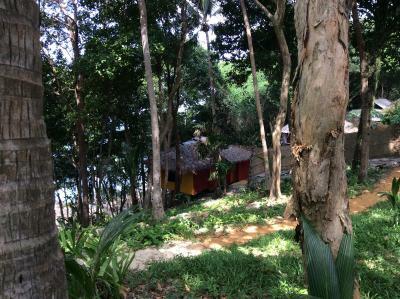 The bungalows are in a pretty, jungle-like setting down little paths. 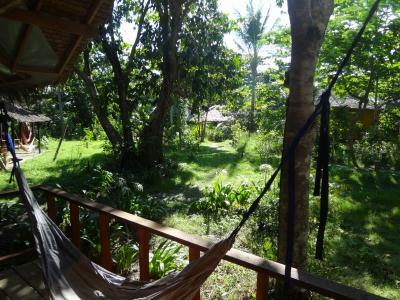 They're quite spacious and have their own terrace with a hammock and chairs to sit out on, which is a bonus. The food was very good and there were plenty of shaded beds to lie on; plus a bar for refreshments. 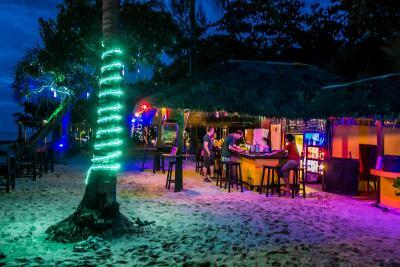 There's a nice beach and other bars and resorts nearby if you feel like eating or drinking somewhere else for a change. They also offer two free taxi rides a day into town (you need to get your own taxi back, but at 150 baht this is no hardship). 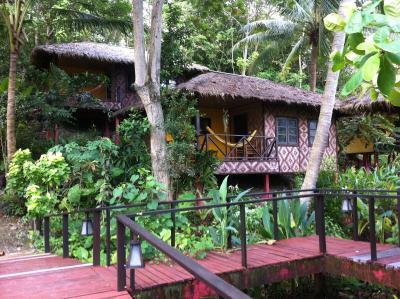 Older stinky bungalows with holes in the walls, mosquitoes and small lizards can go easily in. Aircon lound, rusty refrigerator, very old and rusty shower and sink. 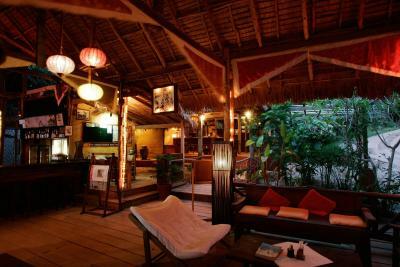 Expensive food, massage, yoga - about 40-100% more expensive than elsewhere on the beach. Everything was very old and not much maintained. Somewhat dirty and towels/linen with stains. Due to all the wholes in the wall and floor a lot of insects in the rooms. Staff not very friendly. Top location and fantastic beach! One of the best beaches. superb location, beautiful setting, well-designed resort. The beds were too hard for us. Location. Quiet cove with a few beach bars. 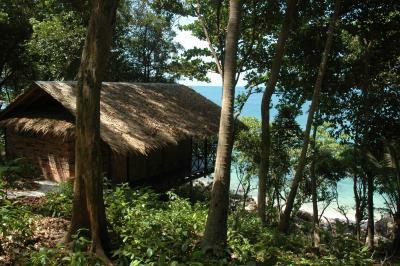 The huts need a revamp, we had a family hut which only had a fan as aircon and the bathroom and toilet weren’t very nice. Has a lot of potential if updated. Absolute perfect location and setting for what we wanted .. quiet relaxing with minimal nightlife. Has so much potential.. fantastic beach.